Enjoy the Journey, Live the Destination! Experience Park156 life yourself! Park156 Apartments offers quiet, convenient living just steps from Bethesda Park. Park156 residents enjoy immediate access to Ronald Regan Parkway and I-85 is just 10 minutes away. 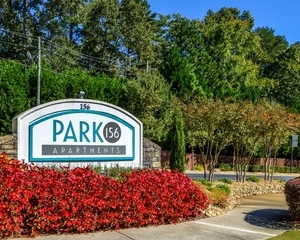 Nestled in a resident neighborhood in Lawrenceville, GA, Park156 is only minutes away from Gwinnet Place Mall, Sugarloaf Mills and all of the hustle and bustle of Lawrenceville, Duluth, and Downtown Atlanta. We look forward to having you as a resident! Call today, your four legged friends are welcome too!